Shirt is not only a staple of a strong half of mankind. Often borrow and women. Certainly in every house there is a man, there are a couple of the shirts lost their form, but they have long no one is for different reasons. Let's try to alter one of these shirts in women's blouses. Cut 2 cut narrow bands about 30 cm Pin one end of elastic bands on the shoulder line, and the other end is 10 cm higher than the cuff. Cut about 30-40 cm wide elastic. 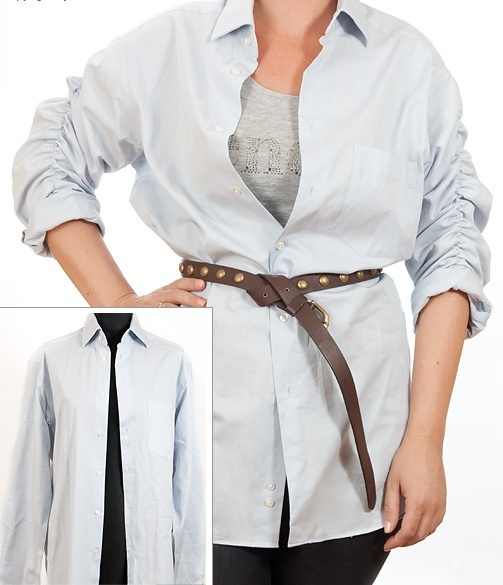 Its length depends on the desired width of the shirt. Pin needles the ends of the gum on the back of the shirt. Now we need all the bands to sew. 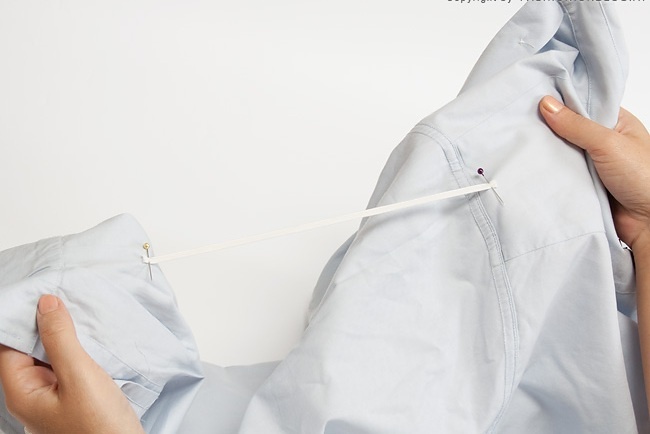 Evenly stretch the elastic band by stitching on the machine. 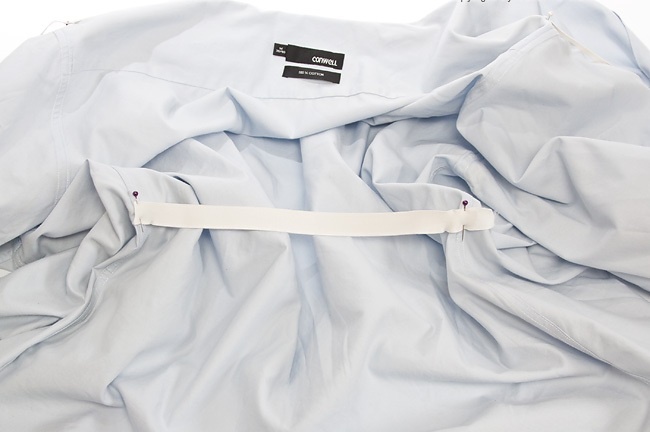 Sewing the elastic to the sleeves, be careful and accurate. 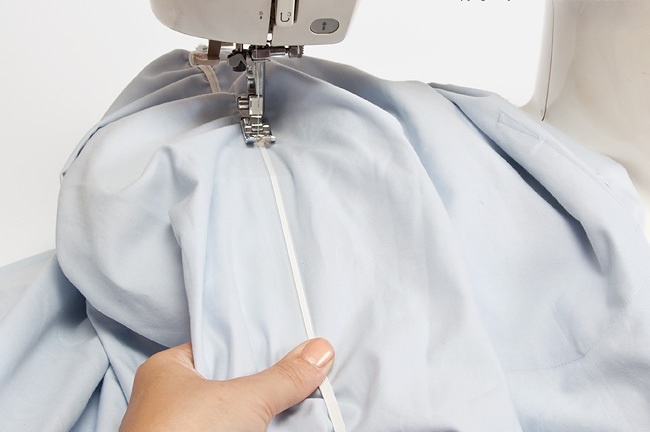 If the sleeves are too narrow and the machine to stitch is not possible you will have to rip the seams of sleeves, sew the elastic, and then sew the sleeves.